The Amber Soft Touch Carpet Range is one of our high quality hardwearing but soft twist pile carpets.Stain resistant & Fade resistant, Bleach cleanable & Hard wearing,Suitable for the busy modern home in any/all rooms, including stairs & landings,2 Ply Pile - Adds density, depth in colour and wearability, Action backing - Underlay & Grippers are required.It is available in 4m & 5m width.Also available as a Carpe.. The Amber Soft Touch Carpet Range is one of our high quality hardwearing but soft twist pile carpets.Stain resistant & Fade resistant, Bleach cleanable & Hard wearing,Suitable for the busy modern home in any/all rooms, including stairs & landings,2 Ply Pile - Adds density, depth in colour and wearability, Action backing - Underlay & Grippers are required.It is available in 5m width only.Also available as a Carp.. The Amber Soft Touch Carpet Range is one of our high quality hardwearing but soft twist pile carpets.Stain resistant & Fade resistant, Bleach cleanable & Hard wearing,Suitable for the busy modern home in any/all rooms, including stairs & landings,2 Ply Pile - Adds density, depth in colour and wearability, Action backing - Underlay & Grippers are required.It is available in 4m and 5m width.Also available as a Ca.. The Oxford Carpet Range is our high quality ultra soft feel 2-ply Saxony carpet collection.Two tone effect.Super thick Saxony pile.2 ply pile - Adds density & depth in colour.A sensational feeling underfoot. 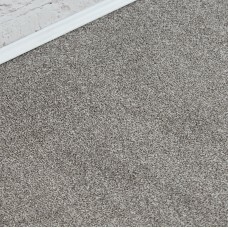 Stain resistant & hard wearing.Can be cleaned with a bleach solution.Great choice for the busy modern home in any/all rooms.Action back - Requires Underlay & Grippers.It is available in 4m width only.Reduced from £16.50 Per SQM.Specifications:Na.. The Pacific Tivoli Vinyl Flooring has a soft beige oak wood look, with a varied grain and overall colour.Suitable for any room in your home,Planks are 14.5cm wide with a textured surface, R10 - Anti Slip Resistance,Ideal for busy areas like living rooms and hallways,Hard wearing but soft.It is available in 3m & 4m width only.Specifications:Name: Pacific Tivoli 110s Vinyl Style: Wood PlanksPlank/Tile Size: 14.5cmThickness: 2mmWear Layer: 0.15mmBacking: Foam BackingColour: .. 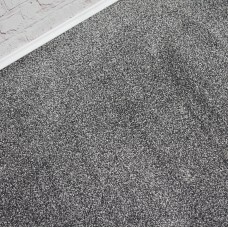 The Pastiche Range is one of our heavy duty loop pile carpets. With its tartan style and pattern, this carpet can add a unique look to any room.This range has a selection of traditional colours.This particular carpet consists of a dark brown and beige pattern throughout.2ply yarn - Gives it more depth in colour and wearability,Stain resistant & hard wearing,Suitable for heavy traffic due to its water resistance,Can be cleaned with a bleach solutio.. 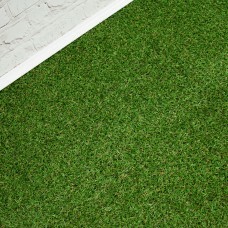 The Romeo Range is a quality twist pile carpet.Suitable for anywhere in the house.Stain resistant.Bleach cleanable. Hardwearing.Felt backing - Underlay & Grippers are not required but recommended.It is available in 4m width only. Specifications:Name: RomeoColour: AnthraciteThickness: 12mmMaterial: 100% PolypropyleneBacking: Felt BackingStyle: Twist PileMax size under 50KG (FREE DELIVERY): 8m x 4m.. The Savannah Stripe Range has a combination of stripes.This particular carpet has Brown, Beige & Black-grey stripe. 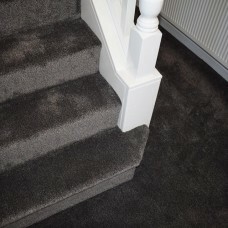 2-ply Twist pile, Stain resistant and extremely hard-wearing,Soft underfoot, Suitable for higher traffic areas of your home, including stairs & landings,Excellent slip-resistance and static dissipation technology,Easy to maintain,Clean with a diluted bleach solution,Repeat pattern of 20cm,Action backing - Requires Underlay &.. The Texas Soft Touch Saxony is our soft touch dense Saxony pile carpet.Feels as good as it looks, Two tone carpet,Glossy finish,Hardwearing,Bleach cleanable,Perfect for the busy home, including stairs & landings,Felt Back - Underlay & Grippers are not required, but highly recommended.It is available in 4m width only.Specifications:Name: Texas SaxonyColour: Mink Silver Thickness: 13mmMaterial: 100% PolypropyleneBacking: Felt BackingStyle: ..